Intuitive and graphical UI brings point-and-click configuration. Convenient Phone Provisioning feature saves you time. Everything can be managed from anywhere with Internet access. Meanwell power supply featuring MTBF>560Kh. High-quality Freescale CPU processor and industry leading TI DSP voice processor. Connectors from TE Connectivity with a gold plating layer as thick as 15μ. Lightening protection on analog ports complying with ITU-T K.20/45/21 8/20 μs and GR-1089 standard. Embedded VoIP capability and analog phone connections. 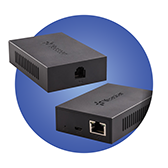 Rich external line options include SIP, PSTN, ISDN BRI, E1/T1/PRI, and cellular networks. Concurrent calls and maximum users are expandable with hardware upgrade modules. 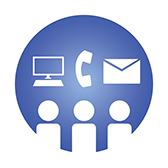 App Center integrates features that you can add when you need them. TLS, SRTP, and HTTPS standards for better security. Defend against malicious attacks with built-in Firewall. Monitor system status and behavior and be notified when abnormalities occur. •Pre-sales advice and after sales support from our trained, experienced team. •Products that we have hand-picked for you to build reliable VoIP networks. •Free technical support for the life of the product. And remember that SnapperNet does not sell direct to end users. We do not compete with our resellers. 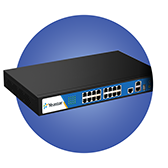 SnapperNet offers everything from power protection to Internet access, data security, and quality of service. As well as market leading phones, media gateways, and PBX solutions. 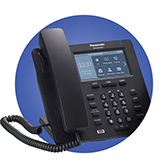 Have a look at the full range of VoIP products that SnapperNet has on offer.